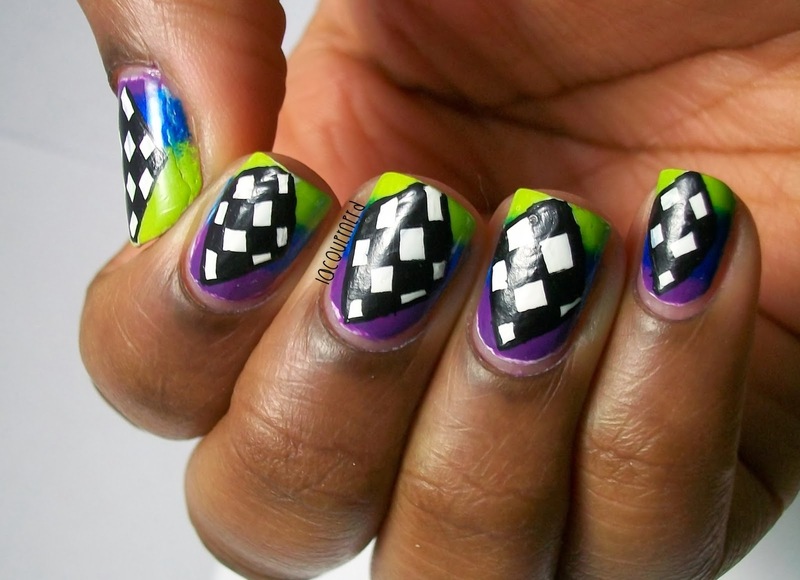 I have my first nail art post of the year! I know the post title has race in it, but I wasn't really inspired by racing or anything like that. I just came up with the nail design in my head. I honestly didn't know what to officially call these, so my girlfriend came up with the name for the post lol. These nails didn't take that long to do, even though it seems like they did. 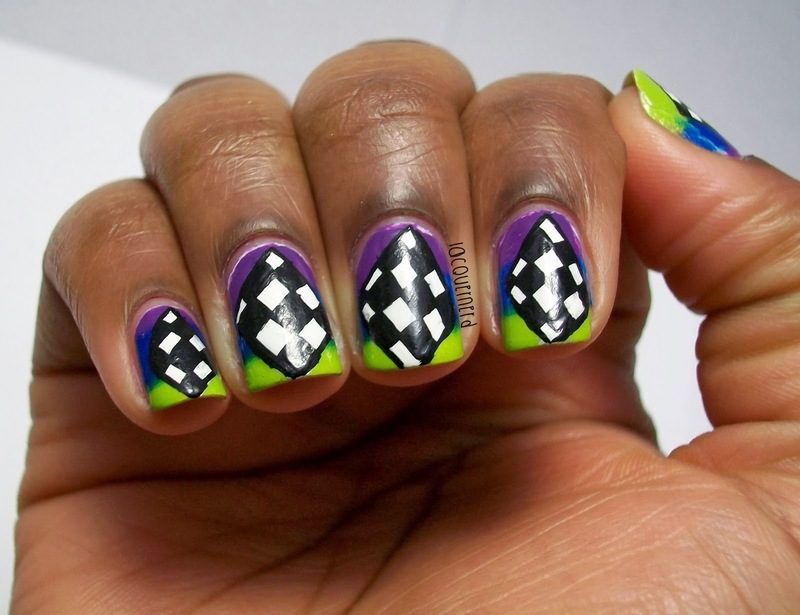 I made a gradient and then created a checkered diamond in the middle. If anything, I was going for an abstract geometric design. I really like how these turned out though. These are probably one of my favorite designs that I've ever done so far. Let's take a look at them! 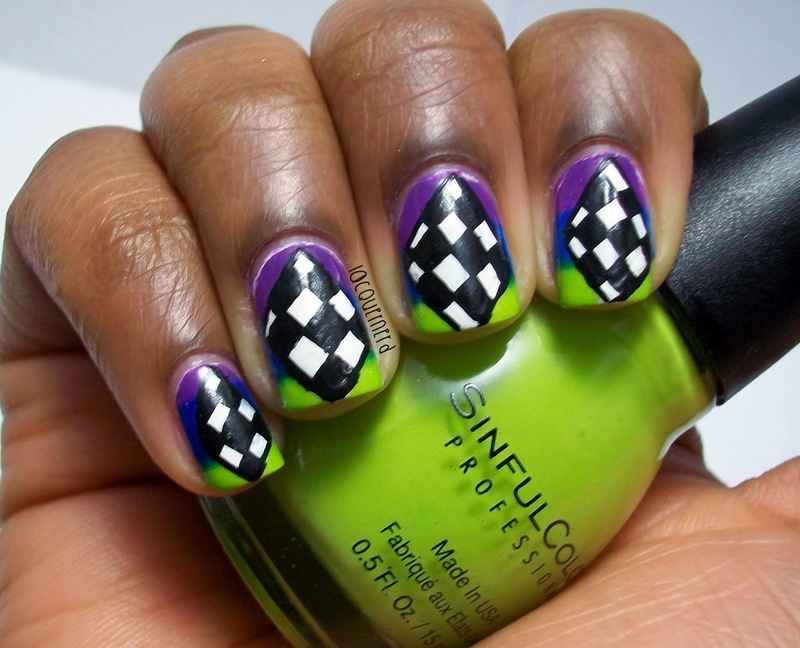 For this design, I applied one coat of Sinful Colors Snow Me White as the base for the gradient. Then, I sponged on Sinful Colors Innocent, Sinful Colors Midnight Blue, and Sinful Colors Amethyst onto a makeup sponge and created the gradient. Once the gradient was opaque, I applied one coat of top coat to seal in the design. 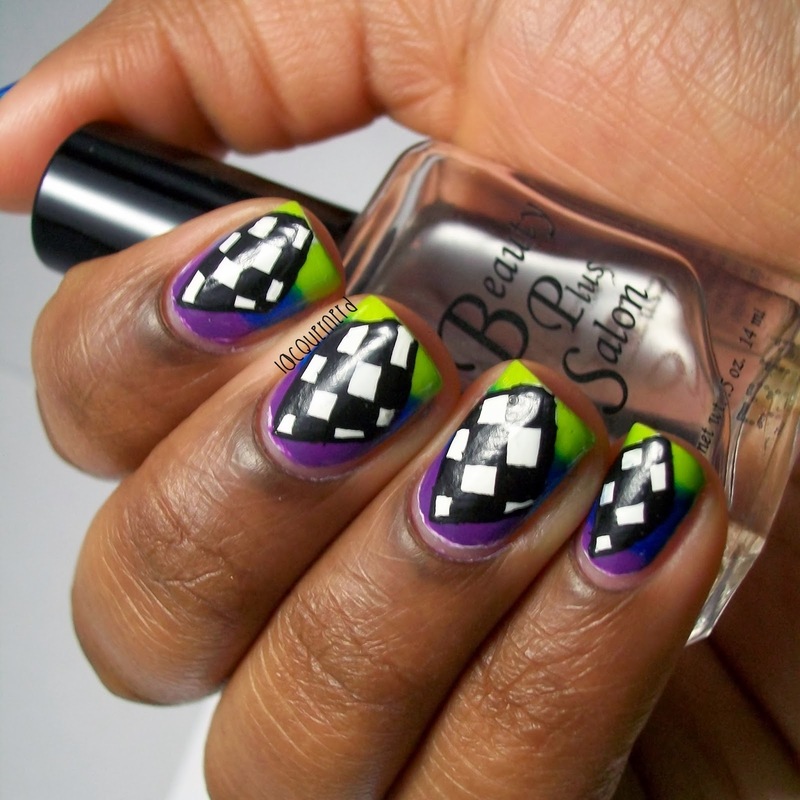 For the checkered diamond, I outline a diamond onto my nail with white acrylic paint and filled in the shape with a detail brush. Next, I made three lines horizontally and vertically to create the squares for the checkers with black acrylic paint and filled in every other space with the black paint. Finally, I added another layer of top coat to seal in the design. I'm really proud of these nails. I love how abstract they look. I really don't want to take these off lol. I hope to do more designs like this. I want to challenge myself to think outside the box with my designs. What do you think of this design? Do you like abstract designs? Thanks! It's actually green, but it does come off as yellow in the photos lol. 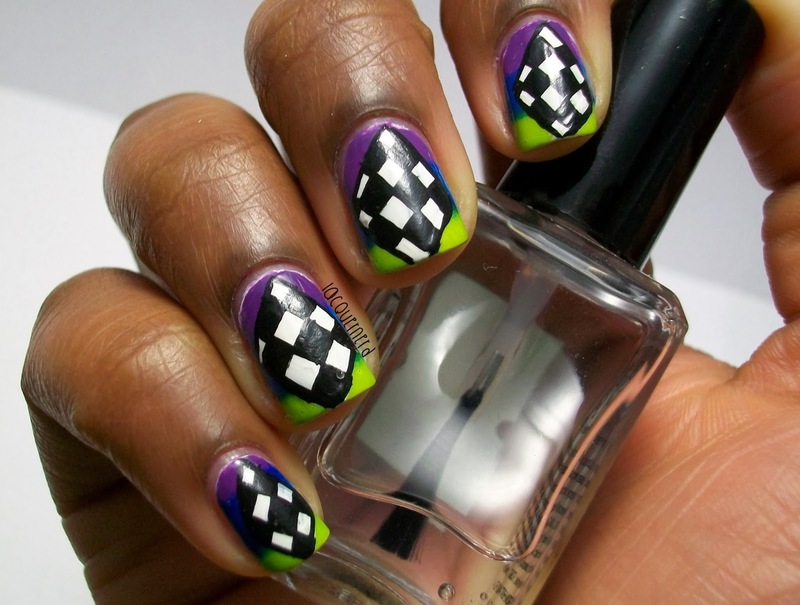 This design looks beautiful on your nails!